This stretched, medium-textured, pure cotton duck canvas is made for professionals. 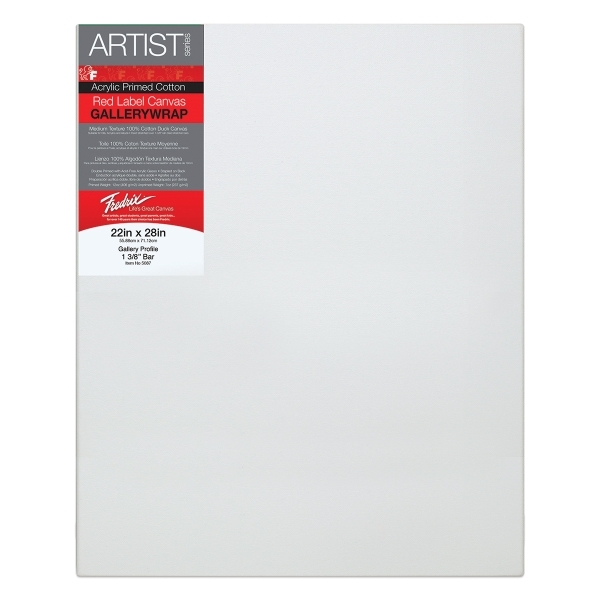 The pre-primed surface resists acidic deterioration with a buffered, acid-free sizing to protect the canvas fibers from direct contact with the final priming. ® Fredrix is a registered trademark.